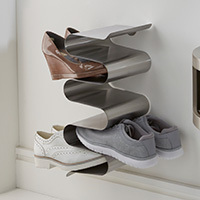 Extending chromed shoe rack that's also stackable. 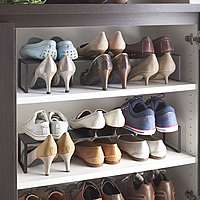 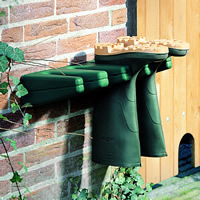 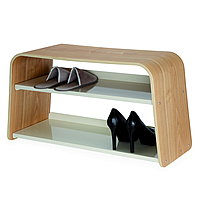 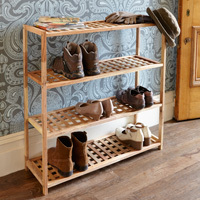 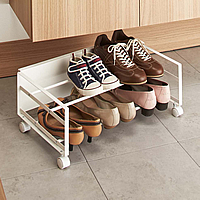 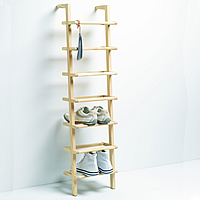 A neat shoe storage solution for a hallway, cloakroom or inside a wardrobe. 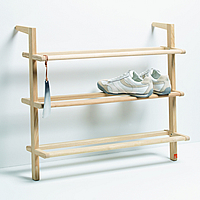 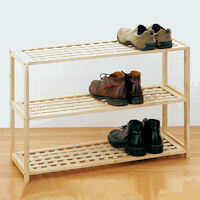 Rubber wood shoe storage shelf with three tiers to store up to twelve pairs of shoes. 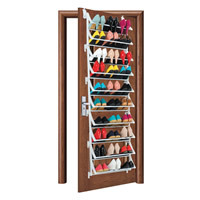 Store up to 30 pairs of shoes including heels on our over door shoe storage rack which is designed to make the most of the unused space on the back of a door. 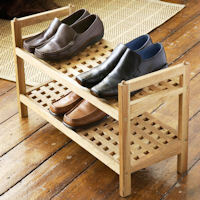 Store up to 20 pairs of shoes on this stylish addition to our walnut shoe family. 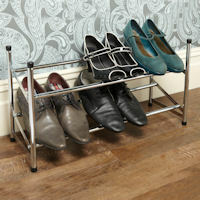 Chromed steel shoe carousel for easy access and storage to 18 pairs of shoes. 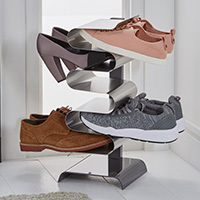 Kids 4 tier shoe rack, exclusive to STORE which offers a great way to encourage little ones to pop their own shoes on and tidy-up after themselves. 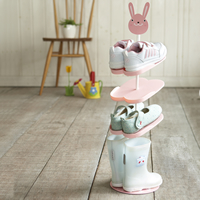 Available in either a pink bunny rabbit or black cat design.